New year greetings from the Executive Committee! Dakshini's Saraswati Puja is a little more than a month away and will be held on Saturday, February 9th, 2019 at Sanatan Dharma Temple* (15311 Pioneer Blvd. Norwalk, CA 90650). 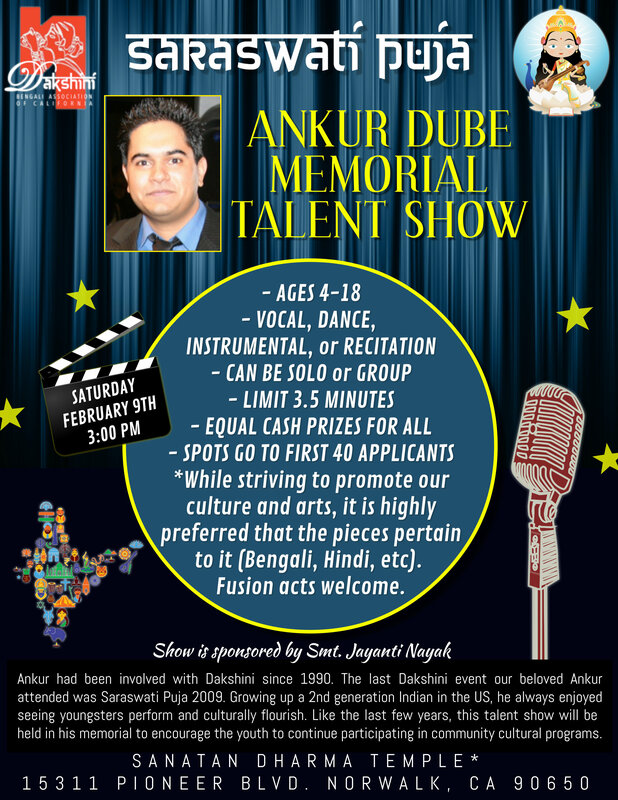 For the last few years, the Ankur Dube Memorial Talent Show has played a significant role at this event. While the full event details will be sent out shortly, below are the details for the talent show registration. *Note: venue may be subject to change.